8 Reasons to Wear White After Labor Day — Just Do It! Check out the cute back on this tank! We love this bright orange color...perfect for summer time fun! Colorful and chic womens off the shoulder top. 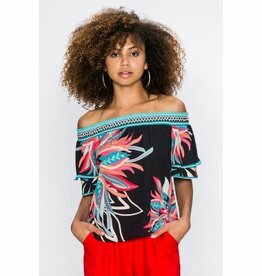 Take center stage in this beautiful red palm tree off the shoulder top - wear pulled up or complete off the shoulder. 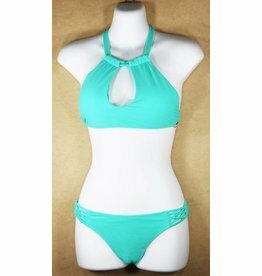 Love this halter style swim suit and the color is super trendy right now! Pool here we come! 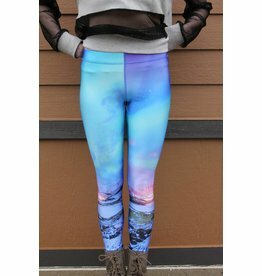 Climb Mountains in these fun mountain leggings from Terez. This classic criss cross neckline is all the rage this fall...plus what a cute graphic! This decorated tank can be dressed up or down depending on the occasion. Love the color and the beautiful embroidered detail! Looks great with white denim! 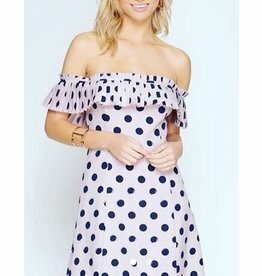 Off the shoulder polka dot dress here just in time for summer! How many times could you wear this cute romper! Check out the cut halter neck with tie!